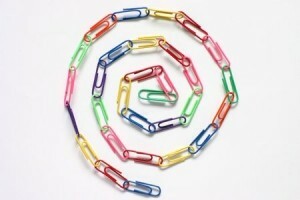 Link building remains a crucial component of search engine optimization and content management in the 21st century. While not as prevalent in terms of benefit as it once was, link building provides ample benefit in the form of SEO clout and traffic for those who due their diligence and generate quality links. There are many different ways in which to generate a wide variety of quality links, but knowing where to start can be quite confusing. When first beginning your new site or blog, it is essential that you focus in all of the right areas regarding link building. Below, we’ll discuss which types of links you should focus on building in the beginning in order to generate an optimal amount of SEO juice and organic traffic. Starting out, a new website or blog may not have much to offer. As such, it is essential to build content and links that feature authority content and influencers. There may be no better place to start than with interview links. Interviews can be done with a variety of individuals. Many brands may think to interview only those who relate to their niche, but those who have investigated their audiences’ interests and habits may discover auxiliary preferences that do not directly relate to the niche. By interviewing individuals who are both directly related to the brand and who are related to the audience’s interests, you can help build high quality links via these individuals and ensure that you’re pinging search engines with valuable content at the same time. Even if your brand is not based around a particular geographic audience, it is vital for search engine saturation to build some number of local links. There are many local influencers that can be targeted in any given area, which makes them ripe pickings for those brands that know how to find them and how to promote their value. One awesome way in which to do this is to build locally-relevant content that said influencers will find interesting, informative and share-worthy. Once you have started pinging search engines with content, the task then turns to pinging local influencers with this content. Through social media, blog post comments and email, you can reach out to these individuals and let them know about the recent content you’ve created that is relevant to their interests. There are many news outlets and reporters out there who need assistance for a variety of stories that may relate to your brand or business. There are many websites in existence where you can sign up as a source who will be asked questions by reporters on a variety of relevant subjects. In some cases, questions about your own brand may arise. In other instances, a comment or quote about the industry you represent will be what they need. In all cases, a heavy mention or link back to your website will be provided by the reporter and editor covering the piece. This can be absolutely great for newly-founded blogs and websites, as links from media outlets carry a lot of weight in most search engine algorithms.